Pierre is available to come to your facility for lessons. A happy relationship between horse and rider is the only way that dressage makes sense. Creating a strong foundation is the essential ingredient to success. Solving each and every problem encountered by going back to the basics. Emphasizing on a step by step training program. Pierre has worked and trained with some of the world's leading trainers in Germany, France, Switzerland, and the United States. Margrit Otto-Crepin, French equestrian. She won a silver medal at 1988 Summer Olympics in Seoul. Harry Boldt and many more. While in California Pierre was also the trainer/rider for Akiko Yamazaki and her horses (current sponsor for Steffen Peters) and organized shopping trips in Europe for clients, which included the purchase of the Grand Prix horse Kranak for Akiko. 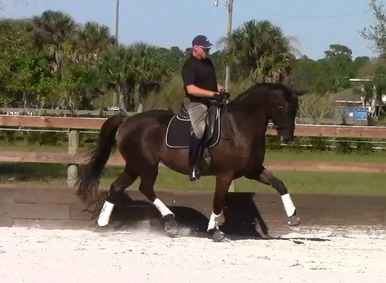 Pierre teaches dressage from Training Level to Grand Prix as well as flatwork for Jumpers and Eventers. 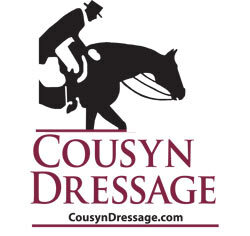 Pierre Cousyn has the education and experience you have been looking for in a trainer. A kind & gentle trainer, specializing in Dressage training and teaching, from Training Level to Grand Prix. View his clinic schedule for more info or contact him directly to plan a clinic at your facility.